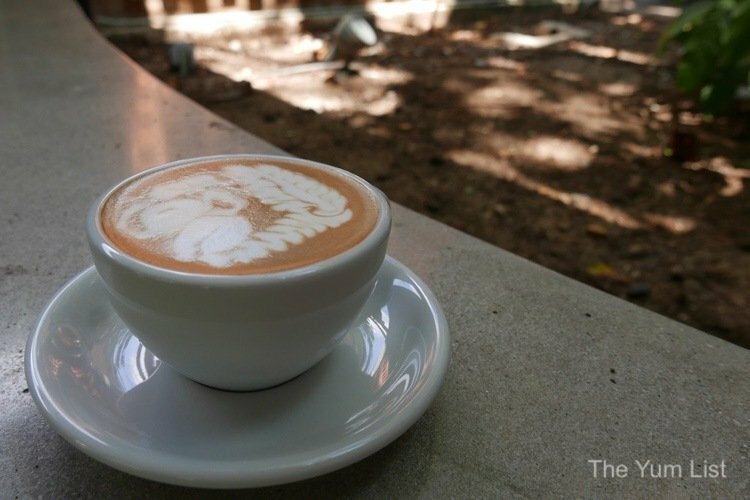 Bean Brothers at The Linc KL offers great coffee in a beautiful green setting. Taking a ground floor lot, the café is walled with glass providing both indoor and outdoor seating. Filled with a refreshing abundance of potted plants, it is a delight to sit and sip. Manager Keith tells me that this is just the beginning! There are more plants on the way! They want to fill every corner with plants. This makes me very happy and a fine cup of coffee even happier. 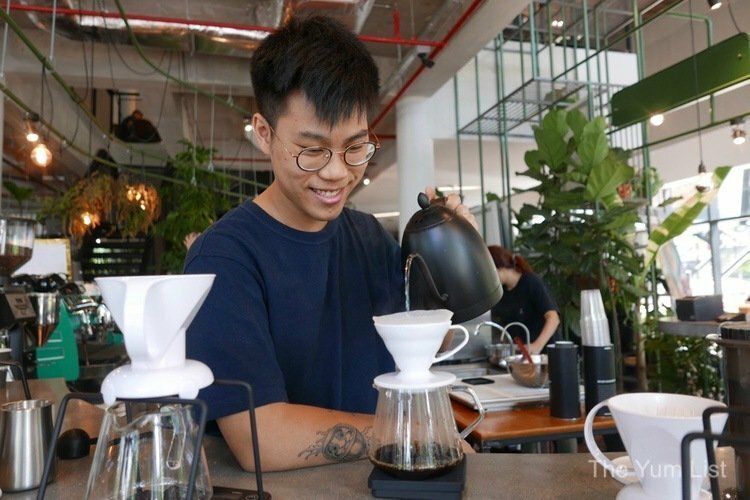 Pour over coffees are all priced at RM14 and are available with the V60, the Aeropress or the Clever. They come with a tasting card allowing guests to read a little about the coffee while appreciating it. For fanatics, you might like to try the same bean side by side using a different extraction method. 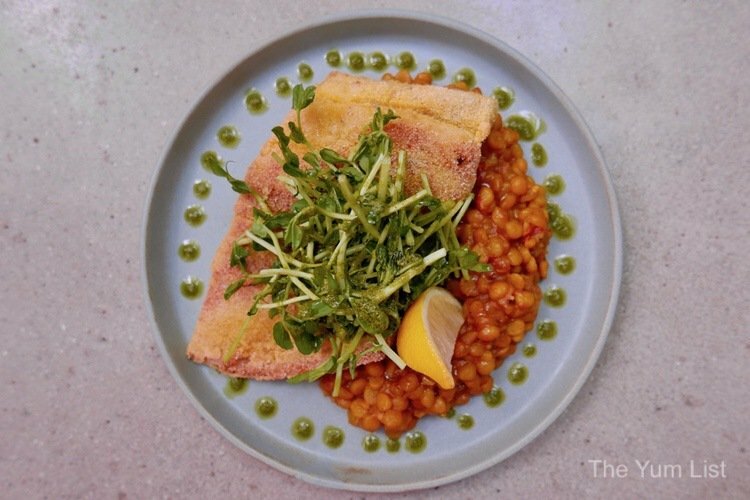 Currently, the team at Bean Brothers offers three items for breakfast – chicken, beef or egg – and these can be had as a salad or wrapped in a tortilla. I am immediately attracted to the vibrant colours in the Egg and Vegas (RM15). Featuring sweet potato, tempeh, quartered boiled egg, cheddar cheese, mesclun mix salad, tiny cubes of feta and Thai sweet chilli dressing, it’s a healthy choice and makes me feel great. For something later in the day, try the Grilled Polenta-coated Seabass (RM32). Polenta provides a striking coat and keeps the flesh moist. The yellow dhal on the side is nicely firm with a pleasant thread of curry providing a long slow heat. A final topping of pea sprouts with pesto balances the warm yellow. Dots of pesto prettily surround the dish as if framing an artwork. I would order this one again. I welcome the next dish, Jalapeño Crab Pasta (RM34), seeing that the crustacean is already peeled. The fresh flavour of the crab is enhanced by pickled jalapeño, anchovies, capers and white wine. A few sprigs of parsley brighten the top. Just before serving lemon is squeezed over the top imparting a lovely touch of acidity. Lastly, Asian Sauce Noodles (RM9) are one of Bean Brothers’ simplest yet most comforting dishes. 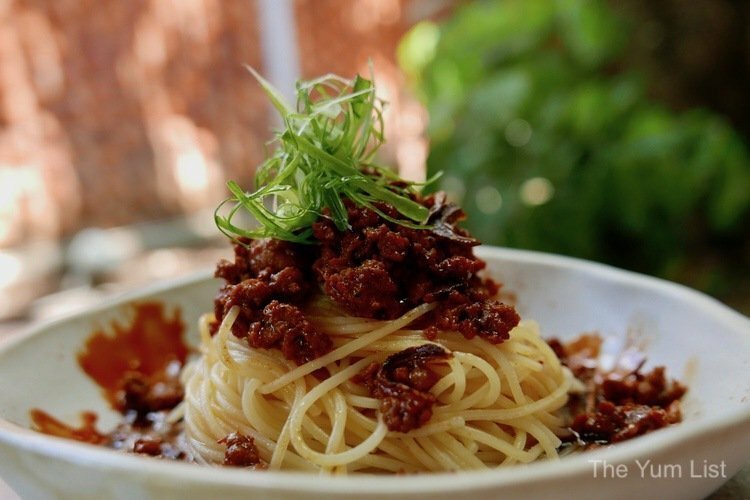 Thin strings of noodles are coated in a “secret sauce” and topped with stir-fried minced chicken. Shredded scallions break the browns of dark soy sauce, oyster sauce, Tabasco sauce, scallion oil – more than 10 ingredients in the sauce but the rest are secret. 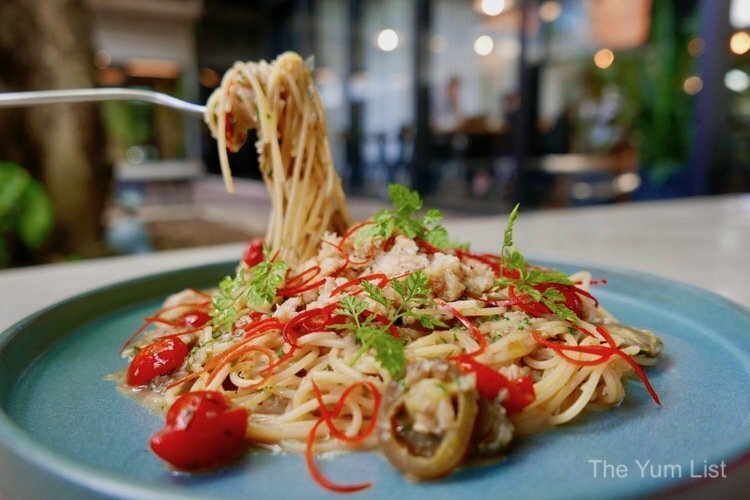 In summary, Bean Brothers at The Linc KL is a beautiful green oasis in the city centre. Come for coffee. Stay for a bite to eat. Soak up the friendly surrounds. 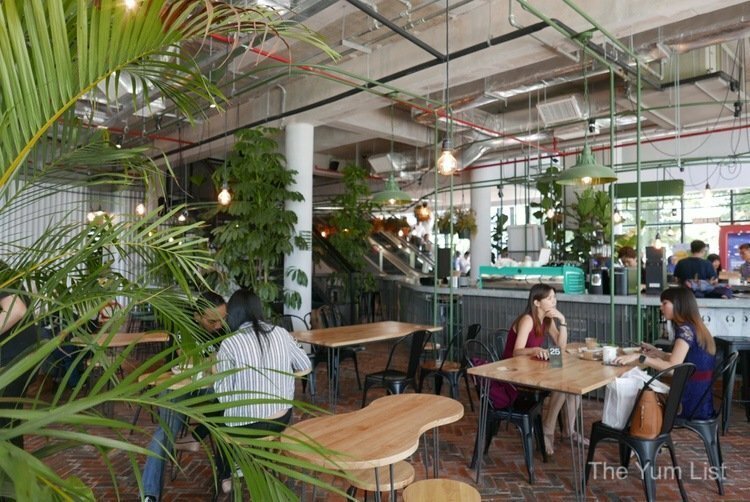 Reasons to visit Bean Brothers at The Linc KL: a lovely bright setting with window walls, indoor and outdoor seating and an abundance of potted plants; great coffee; simple comfort food. Coffee, cakes and pastries are still available after 5:00 pm. Ooooo…I love those plants! Pat on the back, Bean Brothers. I sure would want to try that spaghetti Asian sauce, looks good. I love it when the decor incorporate lots of plants and greenery! 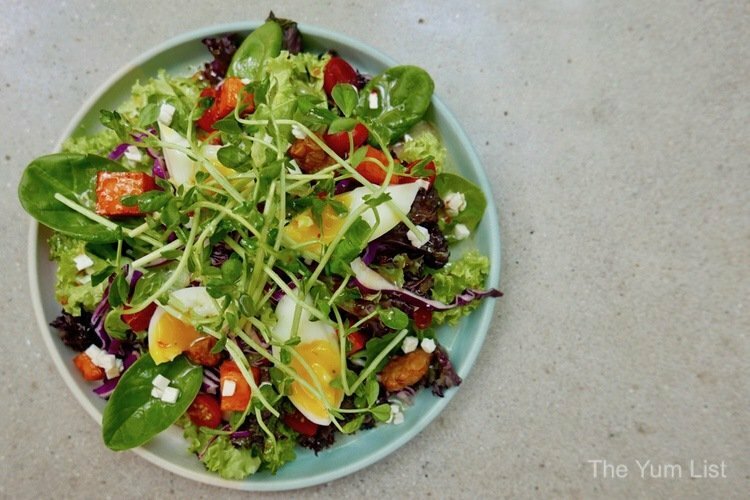 The salad looks beautiful but though I love salads, I can’t stomach it for breakfast. The food looks wonderful, but the good coffee itself is able to convince me.